So I went looking for the bould Dermot’s prognostications on the HSE hoping to prove him a liar. I couldn’t find any… which, I think proves my point! Perhaps he always said it to his pet snake? Conor Lenihan, Mary Hannafin and Barry Andrews all going for the FF ticket in Dublin for the upcoming Euro 19 elections. 3 former Ministers from that doomed 2007-11 Govt still looking to feed from the public trough. And the winner is…Barry Andrews. He’ll now contest for FF in the Dublin euro constituency. 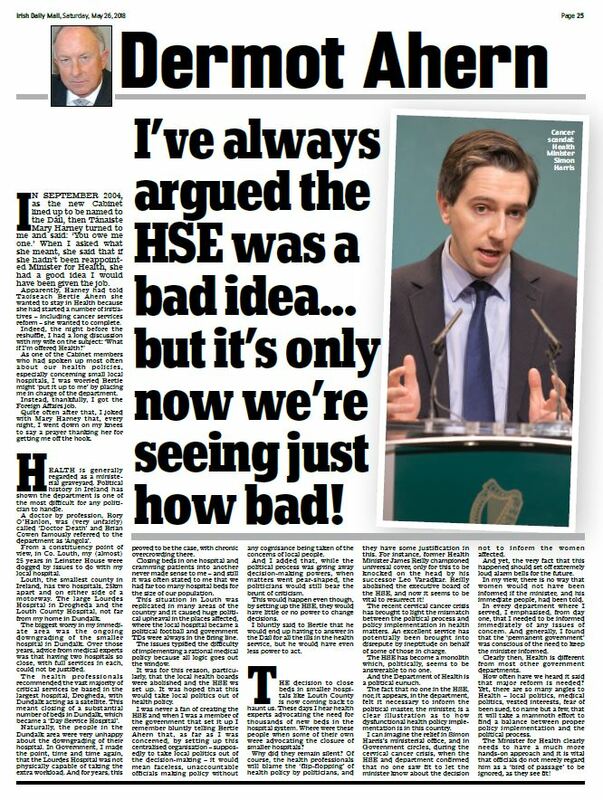 Some interesting comments incl one that FF President’s husband, Martin McAleese, was on the panel that appointed Andrews as CEO of Goal despite him being up against strong candidates with a background at senior levels in Charity organisations. FF? FG? what’s the point anymore. He really believed that “Best small country in the world to business in” schtick he was selling.